The role of one of literature’s first female voices – Emilia Bassano – has been cast, as Morgan Lloyd Malcolm’s acclaimed play of the same name transfers to the West End. Portraying the iconic figure at three different stages of her life will be Saffron Coomber, Adelle Leonce and Clare Perkins (who also played the part of ‘Emilia 3’ at Shakespeare’s Globe last year). They’ll be joined by a multi-roling, all-female company playing both hers and hims, comprising returning cast members Nadia Albina, Anna Andresen, Jenni Maitland, Carolyn Pickles, Sophie Stone, Charity Wakefield and Amanda Wilkin, as well as newcomers Jackie Clune, Sarah Seggari and Tanika Yearwood. From plays with A-list celebs to improvised comedies, TV shows come to life to critically acclaimed transfers, there's something to tickle every fancy. Emilia is a ferociously rousing new play uncovering the story of Bassano, said to be ‘The Dark Lady’ of Shakespeare’s sonnets. 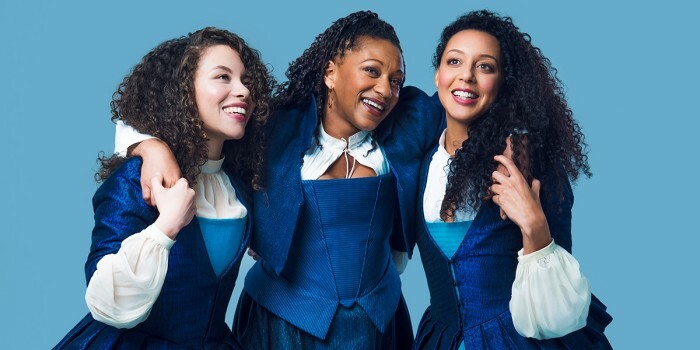 Its themes of unity and empowerment have seen its initial 11 performances at the Globe win such acclaim that it will enjoy a fully-fledged West End transfer from this March. The show will be directed by Nicole Charles and is produced by an all-female team: Eleanor Lloyd, Kate Pakenham, Nica Burns and Eilene Davidson. Emilia will run at the Vaudeville Theatre from 8 March until 15 June 2019.